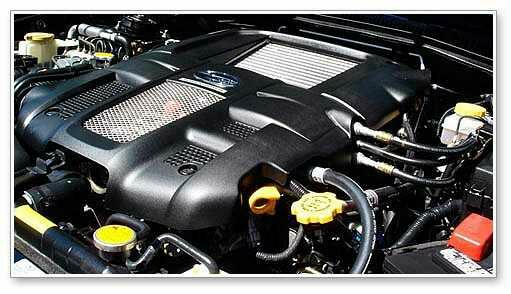 Car Care: How To Clean Your Engine And Get It Sparkling. Many car owners never bother to deal with the dirt under the hood. Probably because they don't understand how to do it or they're afraid that something might be damaged in the process which could tend to be disastrous!...ok, I might have exaggerated that part. The truth is that your engine is a lot more resilient than you give it credit for. You can wash and detail your engine without much fear of damaging anything. Regular engine cleaning isn't just a wasted effort. Thorough cleaning will increase the longevity of your engine by preventing corrosion and interference around exposed components. First and foremost, never detail a hot engine. The best time to detail your engine is in the morning when it has cooled off through the night. Degreasers work best when the grease is warm and soft. So start the engine and let it run for about a minute or so depending on how soiled your engine is. * Move The Car To A Safe Spot. If there's a lot of oil/grease to be washed off or degreased it's advisable to move the car to an area where the soap and washed off grease will not cause damages to the environment. Remove the battery cables. Disconnect the negative cable first before the positive. It's important and necessary that you remove the ground first so that you can't short the circuit which releases enormous amounts of energy in the process. Before you begin washing and decreasing, take note or the vulnerable parts of the engine and cover them. The engine compartment’s not designed for a lot of water, you could be getting water into areas where it shouldn’t be and it can cause corrosion, so you really have to be careful to cover sensitive parts electrical parts like the alternator, distributor and engine computer or relay boxes, exposed filters and the engine's air intake with plastic bags. Those are the areas that you don't really want water or degreaser to get to. Grab a paint bristle brush and brush out any any loose dirt or debris from the engine surfaces. Grab your bottle of degreaser and spray down the surface. Leave it for about 30 seconds so as to allow the cleaning agents to loose and soften the debris. Next, grab your brittle brush and gently work each angles and corners. If you have no access to a degreaser, simply mix a solution of "grease cutting" dish detergent and water, using about 2 cups detergent to one gallon of water then brush your solution on the engine, working it into the dirtiest parts of the engine, wetting them thoroughly. * Rinse And Dry Up. Once the surface has been scrubbed it's time to grab a garden hose and thoroughly rinse the engine. Once dried, you may need to repeat cleaning some areas with soapy water. Final rinse with clear water and let dry out completely before starting the engine. * Remove The Plastic Covers. Gently remove the cover materials used earlier to cover the sensitive parts of the engine. When that's done, leave the hood open and let the engine dry out before starting the engine. * After Washing, you should check for leaks of any kind. If there's any, simply consult your car mechanic. * Hot water is very effective and will clean much more than cold water. If you have a very soiled engine, take the vehicle to a reliable car wash and have the engine steam cleaned. Was this helpful? Let us know in the comment section. CUSTOM DUTY PAYMENT MADE SIMPLE.